What is Project Boundary Rider? 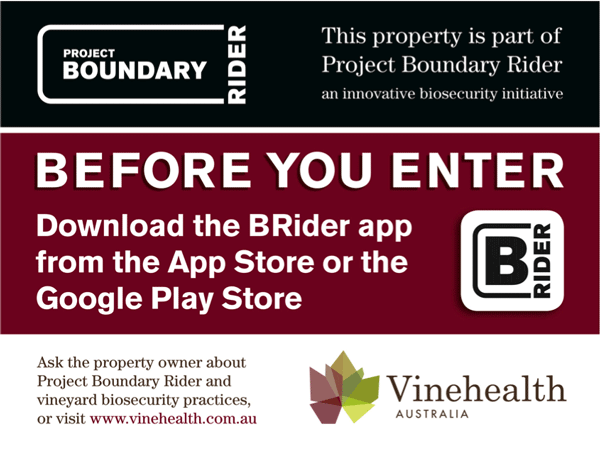 Project Boundary Rider was an innovative biosecurity initiative of Vinehealth Australia and generously funded by State Government, which sought to evaluate the potential of geofencing software to safeguard South Australian vineyards from pests, diseases and weeds –a first we believe for the Australian wine industry. The software, produced by our Canadian technology partners – Be Seen Be Safe, and currently being used in the Poultry Industry in Canada, placed a virtual fence around some of Australia’s most valuable vineyards. An application called B Rider App which was downloaded, then tracked the movements of people across these virtual boundaries, via GPS on a smartphone, recording these movements in real-time. 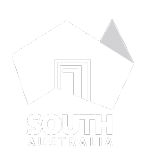 A pilot was run with approximately 30 grower businesses across McLaren Vale and Barossa Regions between December 2016 and mid 2017. Each participating grower benefited from an up-to-date electronic visitor record of anyone with a smartphone who moved across their geofences – an added tool to their farmgate hygiene toolkit. Vinehealth Australia also assessed the ‘track and trace’ capability of this technology. With a complete list of movements of people who have used the app in the project, onto and off of participating vineyards, we were able to simulate a pest or disease outbreak and see how this technology could help us. The ability to overlay factors such as wind direction, wind speed, temperature, humidity allowed us to predict spread of an incursion, and then notify growers and visitors by text message so we could implement meaningful biosecurity measures immediately, thus limiting the spread of the pest or disease, with the aim of eradication. Geofencing is a feature in a software program that uses GPS to define a virtual barrier or boundary for a geographic area (e.g. a vineyard block, a whole vineyard, or a quarantine zone). Triggers can be setup so that when a smartphone enters or exits the defined boundary, a notification message is sent. Why did Vinehealth Australia conduct this pilot? Vinehealth Australia believes that advancements in technology are the future for effective management of biosecurity threats. We believe geofencing technology will have the capability to help growers to protect their properties from biosecurity incursions and through the technology’s track and trace capability, facilitate timely management of outbreaks, should they occur. We also believe this type of technology has a lot to offer growers at the ground level outside the biosecurity realm as well, for example limiting weed movements within a property, protecting the safety of staff after application of agrochemicals with long re-entry periods or managing when fruit can be tasted once a block’s agrochemical withholding period has been met. 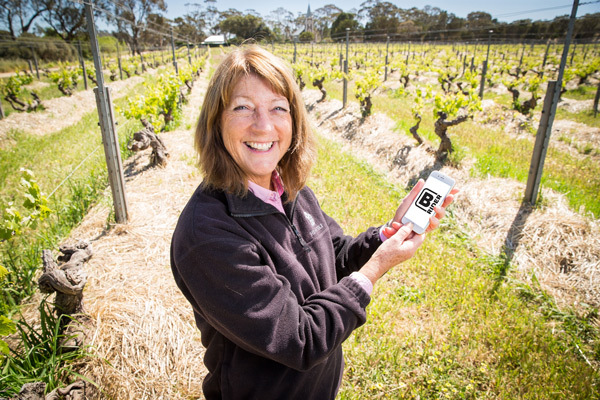 It is the first time we are aware of geofencing technology being tested for biosecurity purposes in the wine industry in Australia and we were looking forward to seeing what it could deliver! 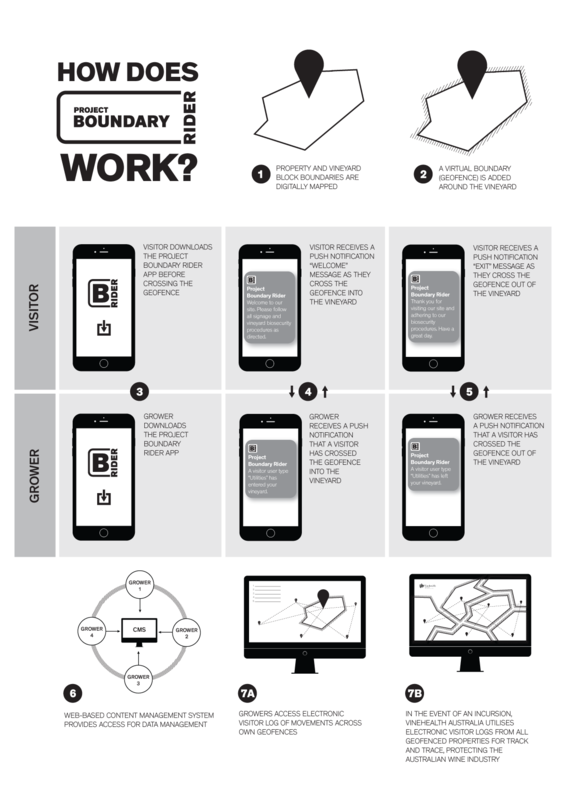 How does Project Boundary Rider work? How will I recognise vineyards involved? All vineyards participating in the pilot program displayed this sign (right) at a vineyard entrance, indicating their involvement. A number of frequently asked questions are answered here. 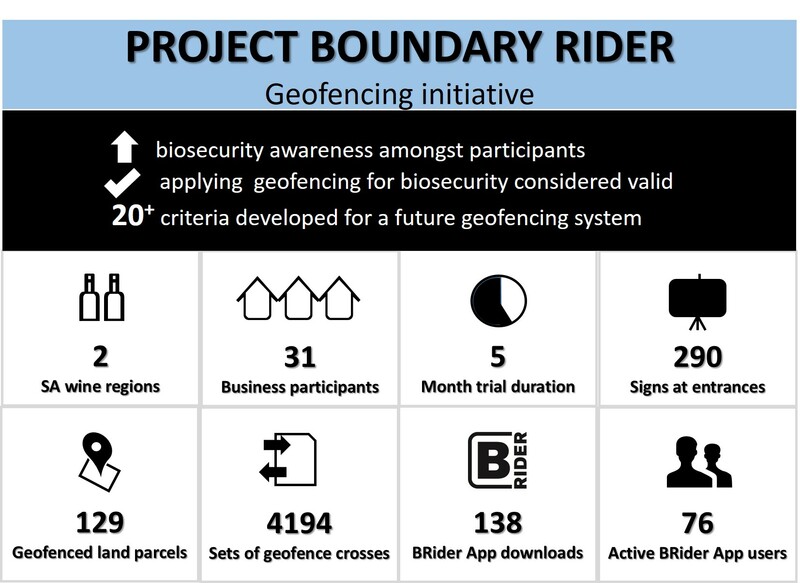 Having concluded the Project Boundary Rider pilot on June 30 2017, a number of high level statistics were calculated from the project (right). To access feature articles written about this project, please click here. 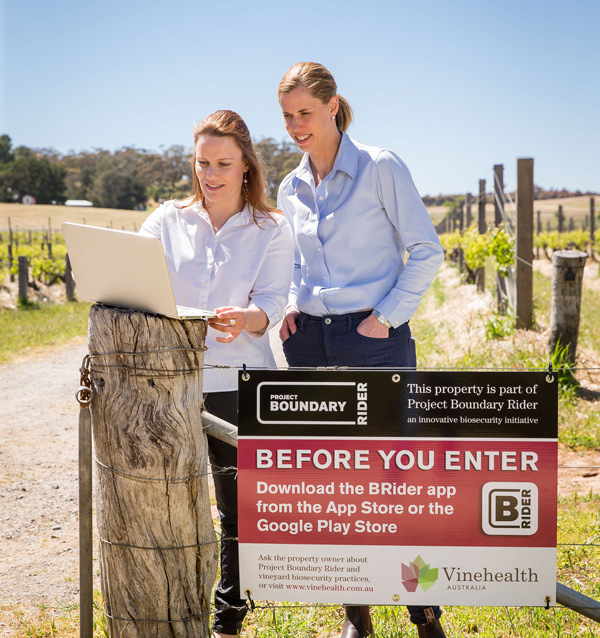 Vinehealth Australia is keen to evaluate other geofencing opportunities in due course, post completion of its planned Digital Biosecurity Platform.